We check out the latest in streaming from Sony and Freeview. More and more consumers are streaming content, often directly through their TV or via media boxes (such as Apple TV or Roku) or dongles (see “Freeview SmartVU X”). However, after a few years some people are finding that their TV still works, but the apps they use to access content don’t. The Sony A9F and Freeview’s new plug-in device both run Android TV. While it’s not the most sophisticated operating system, Android TV has advantages over the bespoke systems used by various TV manufacturers. The system links to your Google account and offers the same video and music apps that you might have on your phone or tablet. In fact, it suggests you download those you already have on your other devices when you first set up the system, which is nice if you like continuity. Navigation is simple, and will feel familiar to anyone who has used YouTube. This year the rollout to update Android TV to Oreo (8.0) has begun for some TVs. While it’s not the latest version, which is Pie (9.0), regular updates like this are vital to keep your devices secure and working properly. It’s something that doesn’t happen often with other TV systems. 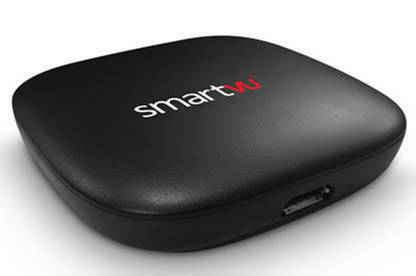 Freeview's SmartVU dongle plugs directly into one of your TV’s HDMI ports. 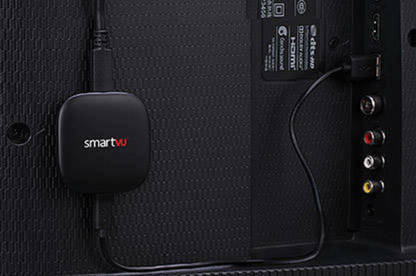 SmartVU X is a Freeview-branded product from Dish TV. This small circular dongle plugs directly into one of your TV’s HDMI ports and gets power from either the mains or a USB port on your TV. 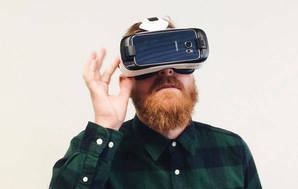 It comes with a remote that has a built-in microphone, so you can use Google’s voice command system. It also has dedicated buttons for Netflix, YouTube and, of course, Freeview. As well as on-demand services, the SmartVU X can stream live TV, straight out of the box. The live TV function worked well for me, but the electronic programme guide (EPG) didn’t. It wouldn’t load and I didn’t know what was on any other channel. It was like watching TV in the 80s (but with more channels). Despite the issues, I found this a great way to get local content into my usual streaming diet. 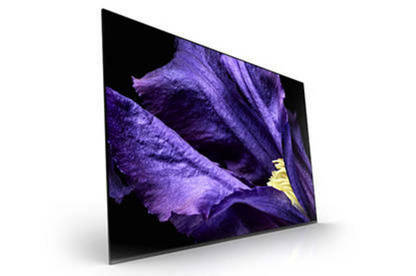 TV screen technology has hit a plateau, with 4K content still coming in but 8K still a way off. It’s a hard task for the general consumer to see much difference between one 4K HDR TV and another, unless you have them side by side to look for differences (as we do in our full tests). That said, let me tell you that Sony’s A9F OLED TV has a fantastic screen. I watched high-def sports, movies and video games and it all looked as great as I expected from this type of screen. The OLED screen comes all the way down to the base, so you need to wall mount it or have the right surface to put it on. The A9F also has slightly better sound than most similar ultra-thin TVs, due to having larger-than-normal speakers behind the screen. Cleverly, if you have a stereo system with left and right channel speakers, you can plug the TV into your amplifier and use it as a centre speaker. The TV and Freeview device were loaned to the writer by Sony and Freeview.